The best photos of your life, all from your mobile device. 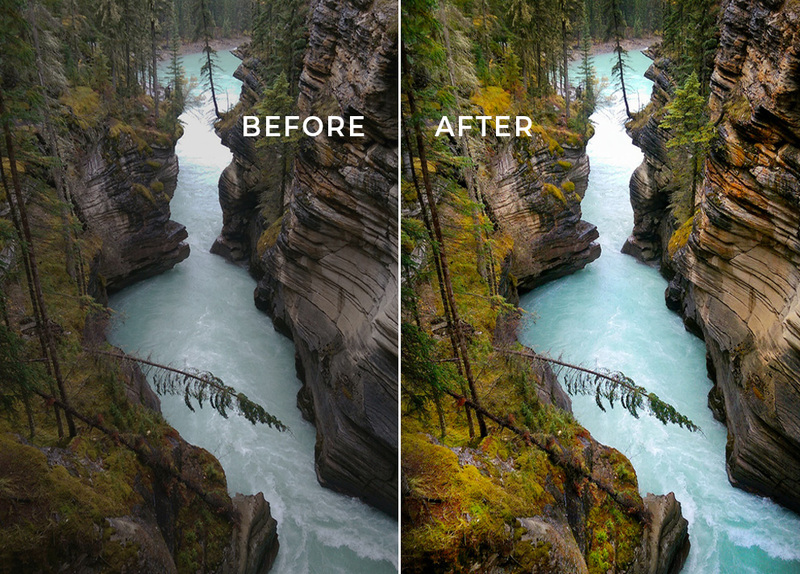 Learn how to shoot and edit your smartphone photos like a pro photographer! 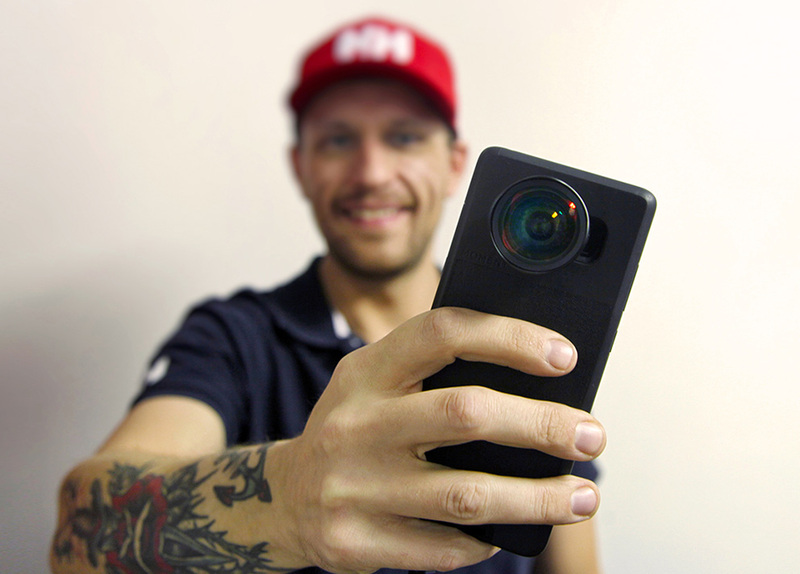 The Smartphone Pro Mobile-Photography Workshop with Dax Justin is an online course that gives you the tools and teaches you step-by-step how to capture, edit and produce professional-level photos from your smartphone with your fingertips, all while in the field or on the go. This is an empowering photo workshop for anyone (and everyone) who takes pictures on their smartphones. You'll be learning from Dax Justin, an award-winning Professional Adventure Photographer, Contributor to Canadian Geographic and mobile photography trailblazer. For the first time in history, the lines are being blurred between Digital SLR Cameras and Mobile Phones. The best camera is the one you ALWAYS have with you and that camera is now our phones. Today our smartphones are now readily-equipped with camera functions that enable us to capture professional photos as if you were using an expensive camera setup. Your smartphone is your new professional camera. 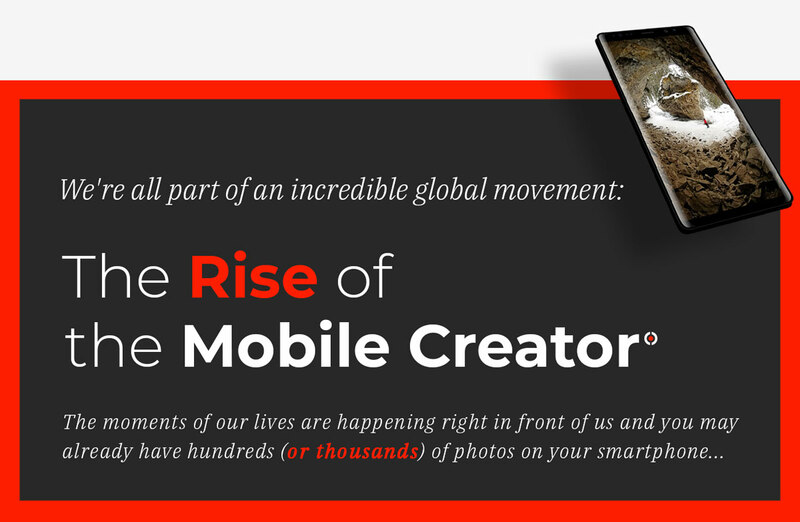 ...and you, yes YOU are the mobile creator. You'll learn how to shoot jaw-dropping photos from your smartphone and will show you how to bring the life and vitality out of your photos from wherever you are, regardless of what device you're shooting on. An all digital course with 3 classes, covering smartphone photography from capturing your photo to post-processing and editing techniques. Watch step-by-step video tutorials while practicing on your phone to apply techniques. There's over 1-hour of video lessons in the first class alone! Notes and downloadable PDF's accompany each class in the workshop so you can reference key info anytime, anywhere. The photo editing and post-processing techniques that will take your smartphone photos to the next level, using just your fingertips and a free professional photo editing app. The confidence and aptitude to know how to use your smartphone's camera to capture that special moment when it strikes. A clear understanding of the principles of mobile photography and how to use them to express your moments. The ability to create photos that accurately represent the moment as you saw it with clarity, elevating your photos to the level they deserve. You'll have unlimited lifetime access to the Online Workshop lessons, future updates, and all accompanying materials to reference at any time. 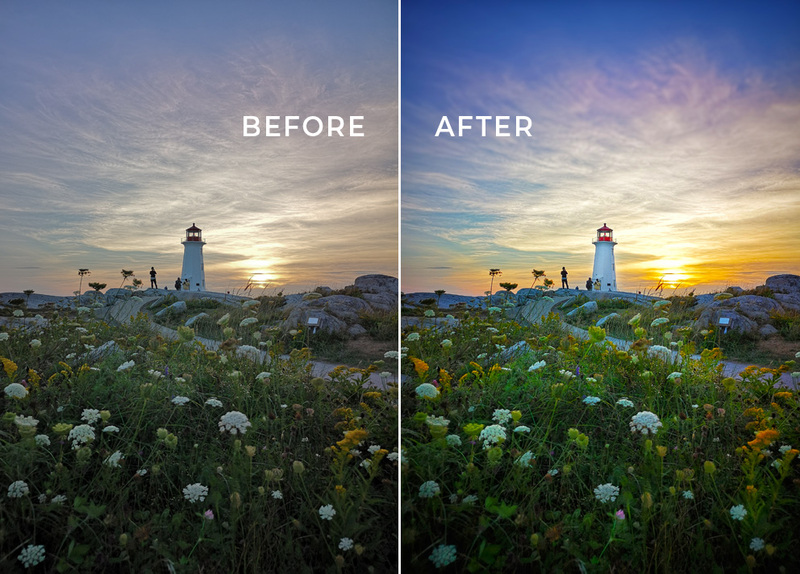 You'll learn how to bring the life out of your photos with your fingertips using a free professional photo-editing app. Here is where you'll meet the moment you actually photographed. In the second class you'll learn mobile photography fundamentals and how to shoot the best photo possible from your phone’s native camera. You'll be able to check out the gear that Dax has used to become an adventure photographer and you'll be able to get your hands on the best gear available for mobile creators today! 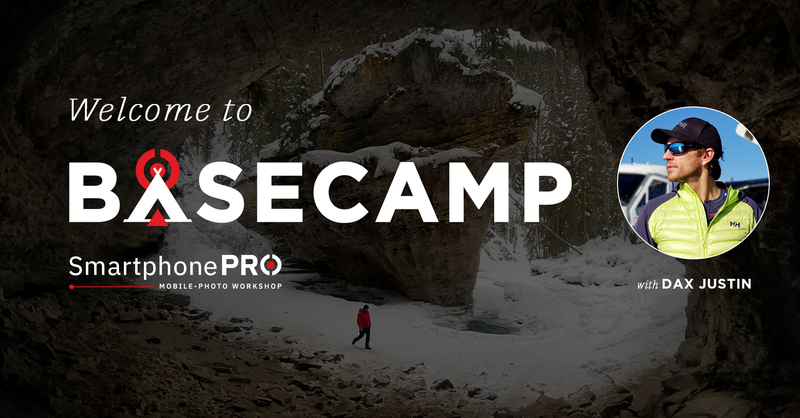 You’ll get instant lifetime access to Dax’s Private Group, the Smartphone Pro ‘BASECAMP’ where you’ll receive one-on-one direct photo critiques from Dax, coaching for photo techniques, feedback and group support. You’ll be joining fellow professionals and people looking to advance their mobile skill set to the next level. "Mind-blowing experience. This workshop was life-changing." Named one of the “Top 10 Most Influential Instagrammers” by Travel Massive, Dax Justin is a Canadian explorer, award-winning adventure photographer, creative director and mobile photography trailblazer. His journey started when he began taking photos on his mobile device in 2014; and now his photos consistently achieve wide-spread media coverage across Canada. What people may not realize is that the majority of his photos are produced right from his smartphone.